For the first time, astronomers have confirmed Einstein’s century-old theory of general relativity by observing action near a black hole. 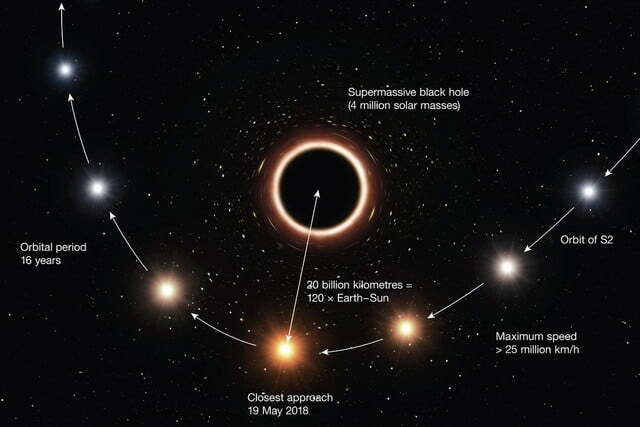 Using the European Southern Observatory’s Very Large Telescope (VLT) in Chile, an international team of professional sky-gazers watched as a star swung by the supermassive black hole at the center of the Milky Way Galaxy, and observed the effect the black hole’s extreme gravitational field had on the star’s motion. The observation was the culmination of a 26-year-long project that saw some of Earth’s most powerful astronomical tools pointed in just the right place at just the right time. “Since this was the first time such a close passage could be observed with very high precision, and since such an event occurs only every 16 years, you can imagine that we were very excited to see this unfold in front of our eyes,” Stefan Gillessen, a staff scientist at the Max Planck Institute for Extraterrestrial Physics, who worked on the study, told Digital Trends. Using these instruments, the astronomers observed a star called S2 undergo an effect known as gravitational redshift, which signifies that the star’s light is being stretched to longer wavelengths. “Light feels a gravitational field, very much like a stone does,” Gillessen said. “When you throw it up, it will lose energy, slow down and eventually fall back to Earth. Light traveling outward against gravity also loses energy, however it cannot slow down — it always moves at the speed of light — but it can change its wavelength, its color. Light gets redder when it moves out. 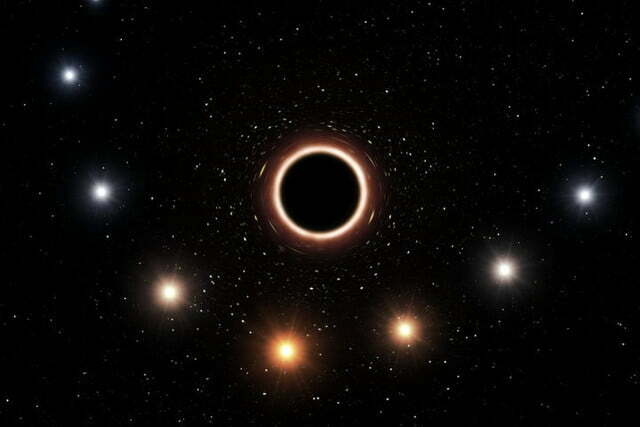 This study represents the first time astronomers have confirmed this gravitational redshift through the observation of a black hole. Though similar observations have been made in the past, prior studies lacked the precision instruments of today’s VLT. Gillessen said they will continue continue to observe this S2 with the hopes of detecting other relativistic effects. A paper detailing the research was published last month in the journal Astronomy and Astrophysics.